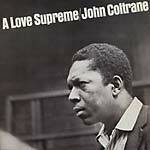 A selection from John Coltrane's Atlantic period. From the incredible up-tempo phrasing of "Giant Steps" to the hypnotic intensity of "My Favorite Things". Wonderful music that would influence generations to come. 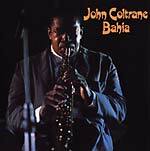 Includes selections from Giant Steps (1960), My Favorite Things (1961), and Olè Coltrane (1961). Wax Love present a reissue of John Coltrane's The Believer, originally released in 1964. 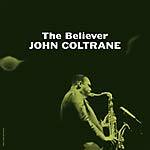 The Believer collects recordings from 1958 from tenor master John Coltrane. Featuring longtime collaborators Red Garland and Paul Chambers, as well as two of the finest trumpet players to ever grace a jazz record, Donald Byrd and Freddie Hubbard, the album begins with longtime Coltrane collaborator McCoy Tyner's title composition. 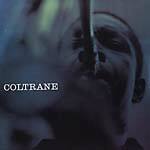 Though it's a piecemeal album, Coltrane is in top form and his soloing on tenor at the time was unparalleled. Another great one from 'Trane. When John Coltrane performed in 1963 at Penn State University, it was with the group that is now considered his most "classic" group: the quartet featuring McCoy Tyner on piano, Jimmy Garrison on bass, and Elvin Jones on drums. Featuring an epic, 25-minute long "Bye Bye Blackbird", among other early '60s originals and covers, this is the sound of an artist coming into his own and truly shining. Coltrane at the top of his modal/post-bop powers. 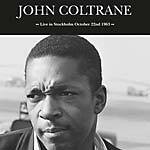 Featuring John Coltrane's classic quartet (McCoy Tyner, Jimmy Garrison, and Elvin Jones), Doxy present two live shows recorded in Stockholm (ACV 2087LP) and Berlin during the legendary 1963 European tour, which are a fairly typical example of the incredible strength of the group at the time. 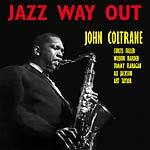 As with most of his live dates, Coltrane turns in extended explorations on all the selections, also leaving plenty of room for pianist Tyner to stretch out on more straightforward, but equally challenging solos. 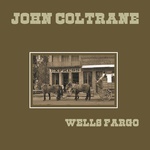 Drummer Jones matches the intensity of Coltrane's solo flights with propulsive and sensitive rhythmic support, while bassist Garrison anchors the proceedings with his steady and somewhat mercurial basslines. During the period when the shows were recorded, Coltrane was playing at an amazingly high level, with masterworks like Crescent (1964) and A Love Supreme (1965) just around the corner. 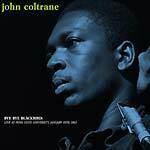 The blend of freedom, energy, and formality in his solos make live recordings from this time a good bet for newcomers to Coltrane's work. First edition of 500 (numbered). 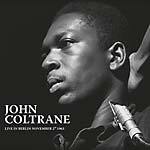 Featuring John Coltrane's classic quartet (McCoy Tyner, Jimmy Garrison, and Elvin Jones), Doxy present two live shows recorded in Stockholm and Berlin (ACV 2088LP) during the legendary 1963 European tour, which are a fairly typical example of the incredible strength of the group at the time. As with most of his live dates, Coltrane turns in extended explorations on all the selections, also leaving plenty of room for pianist Tyner to stretch out on more straightforward, but equally challenging solos. Drummer Jones matches the intensity of Coltrane's solo flights with propulsive and sensitive rhythmic support, while bassist Garrison anchors the proceedings with his steady and somewhat mercurial basslines. During the period when the shows were recorded, Coltrane was playing at an amazingly high level, with masterworks like Crescent (1964) and A Love Supreme (1965) just around the corner. 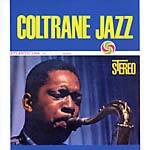 The blend of freedom, energy, and formality in his solos make live recordings from this time a good bet for newcomers to Coltrane's work. First edition of 500 (numbered). 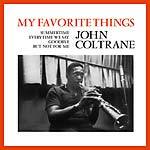 Jeanne Dielman present a reissue of John Coltrane's My Favorite Things, originally released in 1961. Credit for this album is partially due to Miles Davis, who had somewhat recently purchased Coltrane's first soprano saxophone. Previously, the soprano saxophone had been little used in jazz. 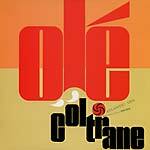 This 1961 album also seems to fully mark Coltrane's transformation into modal jazz, another Davis influence, and his modal take on the classic standard, "My Favorite Things", from The Sound Of Music soundtrack (1965), remains one of the more iconic jazz songs in history. Rounded out by three more standards, performed in modal interpretations that completely redefined the meaning of a "standards" album, My Favorite Things is one of the many transcendent jazz albums the legendary John Coltrane is responsible for. 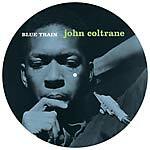 Doxy present a picture disc reissue of John Coltrane's Blue Train, originally released in 1957. Blue Train is Coltrane's third session as a leader and one of the most iconic jazz albums of all-time. Featuring Curtis Fuller, Lee Morgan, Paul Chambers, Kenny Drew, and Philly "Joe" Jones, this is an absolutely essential jazz album and the title track is one of the most celebrated in jazz history, maybe matched only in recognition by Miles Davis's "So What" or Dave Brubeck's "Take Five". 2016 release. "Until now, the complete picture of what happened on those two days, including all takes, overdubs, and even studio chatter, has been unavailable. That changes when Verve Music Group proudly releases A Love Supreme: The Complete Masters, to celebrate the 50th anniversary of the release of this seminal recording. It includes this alternate version, taken from reels from the personal collection of John Coltrane and originally recorded in incredible sonic detail by Rudy Van Gelder, along with revised notes and detailed information on these amazing lost sessions. With the availability of long-lost session reels, A Love Supreme: The Complete Masters brings together all existing recordings and written outlines for the first time to paint the most comprehensive and accurate picture of the A Love Supreme story. It reveals how Coltrane's masterpiece came together, from its initial conception as a nine-piece performance - it turns out the original plan was for a nine-piece band, including three Latin percussionists - to how it changed and developed in the studio. 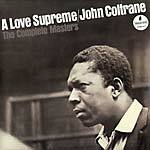 While the 2002 edition of A Love Supreme did include some of the music recorded at the second session, The Complete Masters is the first to feature all six takes of 'Acknowledgement,' the opening section of the suite, in their entirety, providing a deeper understanding and appreciation of how Coltrane would allow music to mature in the studio." 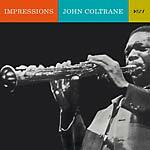 Impressions is a hodgepodge of memorable John Coltrane performances from the 1961-1963 period, originally released in 1963. "India" and "Impressions" are taken from Coltrane's famous November 1961 engagement at the Village Vanguard; bass clarinetist Eric Dolphy is heard on the former while the latter features a marathon solo from Coltrane on tenor. Also included in this set are 1962's "Up 'Gainst the Wall" and the classic of the album, 1963's "After the Rain." 140-gram virgin vinyl. Exact repro of 1957 LP. Coltrane's third session as a leader, recorded on 15 September 1957 for Blue Note, although he was still under contract of Prestige. The sextet includes Lee Morgan (trumpet), Curtis Fuller (trombone), Kenny Drew (piano), Paul Chambers (bass), and "Philly" Joe Jones (drums). 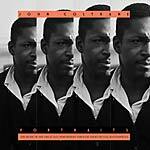 Four track John Coltrane release from Boris Rose's Alto Records "label". Tracks: "Cousin Mary (My Favorite Things)," "Body & Soul," "Interpretations (Mr P.C.)" and "March 2nd On The Books (My Favorite Things)." This album was conceived and recorded in 1958 as an experiment by some of the important "new" faces in modern jazz, under the leadership of Wilbur Harden, with the young, talented John Coltrane, the fresh-voiced Curtis Fuller and Tommy Flanagan that blend opinions and expression in an album of extended improvisational forms. Limited edition of 500 copies pressed on audiophile clear vinyl (ACV). 2010 reissue, originally released in 1962 on Atlantic. "Trane uses the blues to explore the boundaries of jazz with McCoy Tyner and Elvin Jones." On 180 gram vinyl. "The first album to hit the shelves after Giant Steps, Coltrane Jazz was largely recorded in late 1959, although one of the eight songs ('Village Blues') was done in late 1960. On everything save the aforementioned 'Village Blues,' Coltrane used the Miles Davis rhythm section of pianist Wynton Kelly, bassist Paul Chambers, and drummer Jimmy Cobb." --All Music Guide. Exact repro reissue, on 180 gram vinyl. "Recorded on 24 October 1960 in NYC, Coltrane Plays The Blues is perhaps a misleading title for this album as Coltrane is not so much playing the blues as bringing the feeling of blues into the idiom of jazz. This memorable album, featuring McCoy Tyner on piano, Elvin Jones on drums and Steve Davis on bass, hails from Coltrane's first period as leader of his own quartet, and finds Coltrane playing then highly unusual soprano sax on two numbers -- 'Blues To Bechet', a pianoless tribute to the great Sydney Bechet, and 'Mr. Syms', where McCoy Tyner is given the opportunity to really show his stuff, which he does masterfully. Includes 'Exotica' (also recorded during this session) as a bonus track + 4 more bonus alternate tracks on the CD." 180 gram vinyl. Gatefold reissue on 180 gram vinyl. Recorded in May, 1966, and released the following year. Featuring John Coltrane (soprano saxophone, tenor saxophone, bass clarinet, flute), Pharoah Sanders (tenor saxophone, flute), Alice Coltrane (piano), Jimmy Garrison (bass), Rashied Ali (drums) and Emanuel Rahim (percussion). Tracks: "Naima," "Introduction to My Favorite Things" and "My Favorite Things." Exact repro reissue, manufactured by Rhino. Originally released in 1961. Featuring John Coltrane (tenor saxophone/soprano saxophone), Wynton Kelly (piano), McCoy Tyner (piano), Paul Chambers (bass), Steve Davis (bass), Jimmy Cobb (drums) and Elvin Jones (drums). "Coltrane Jazz... was recorded immediately after Giant Steps, with the exception of one track ('Village Blues,' recorded later), and in many ways represents a continuation of the ideas and concepts presented in the preceding record. The five Coltrane originals on this album could almost -- note the almost -- be called 'more of the same,' inasmuch as two of the tunes make good use of the pedal-tone and/or the ostinato bass (actually three, because 'Harmonique' has a B-flat running through the bass line almost constantly) and one has the characteristic Giant Steps changes in the bridge. But somehow, the treatment is different. There's something else in there. Even the three standards ['Little Old Lady,' My Shining Hour' and 'I'll Wait And Pray'] sound different."